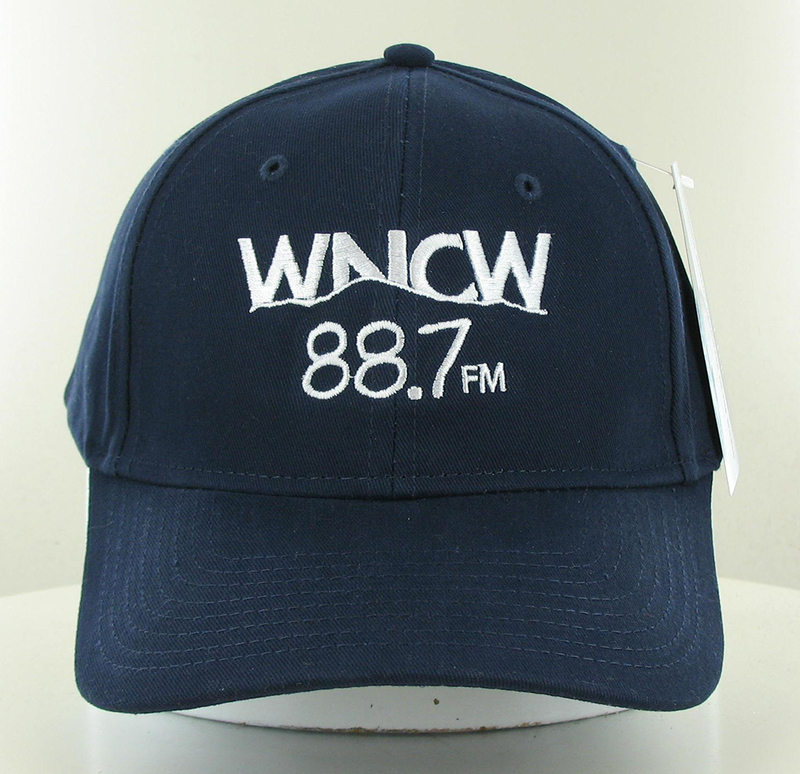 The all new WNCW ball cap features the logo mountain at the base of WNCW all on top of 88.7FM. The hat is navy with white embroidery. This is a medium profile, six panel, structured cap. It is a cotton hat with a fabric strap that has an antique brass sliding buckle.